« Covered on Culture Days! Youth art opportunity from Studio in the City! Focusing on the promotion of youth creativity, The Art Box will run quarterly exhibitions of local youth artwork. Unique in its interactive nature, The Art Box provides the audience with the opportunity to “erase” a black and white image, revealing the colourful artwork or film underneath. This interactivity allows for audience participation and is truly individual in its nature. Run by youth artists, for youth artists, The Art Box welcomes submissions from youth age 13 to 25 on the North Shore. You can submit your artwork here! 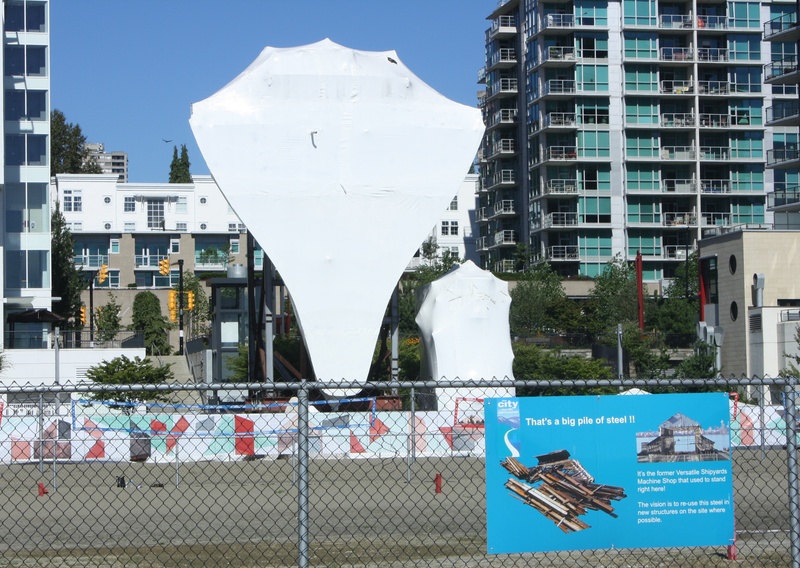 Here’s a shot of the beautiful new fence created by the Studio in the City 6 team, with help from the North Vancouver Museum – under the wrapped whiteness of the Flamsborough Head. It’s encouraging to see familiar names for this artist team, including To Here from Home artist Azi Ebrahimi! Congrats on the exciting projects!